I spotted this on Amazon with a ridiculous preorder price, but bought it from a department store last week shortly after it was released for a far more reasonable price. I found the truck mode to be quite cute. After a massive review of a huge toy, it’s time to go for something small. 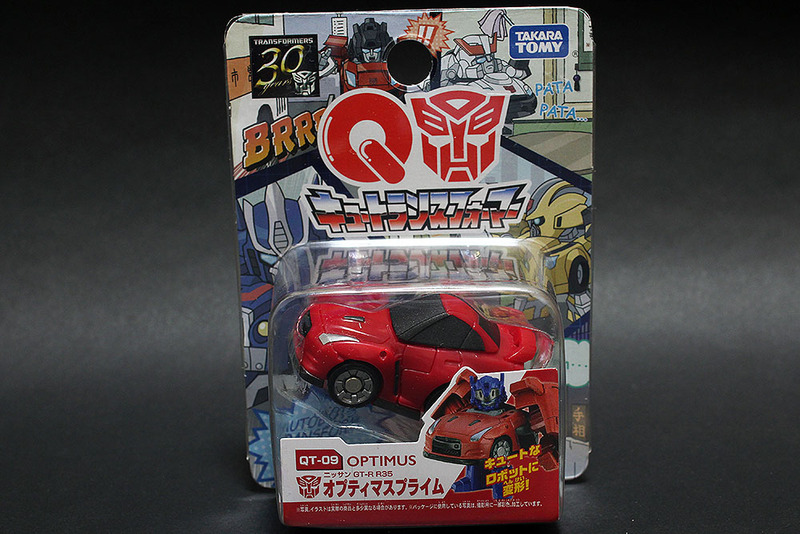 I’m actually a fan of the Choro Q series of toy cars since I was a kid, and over time those things have evolved quite a bit. 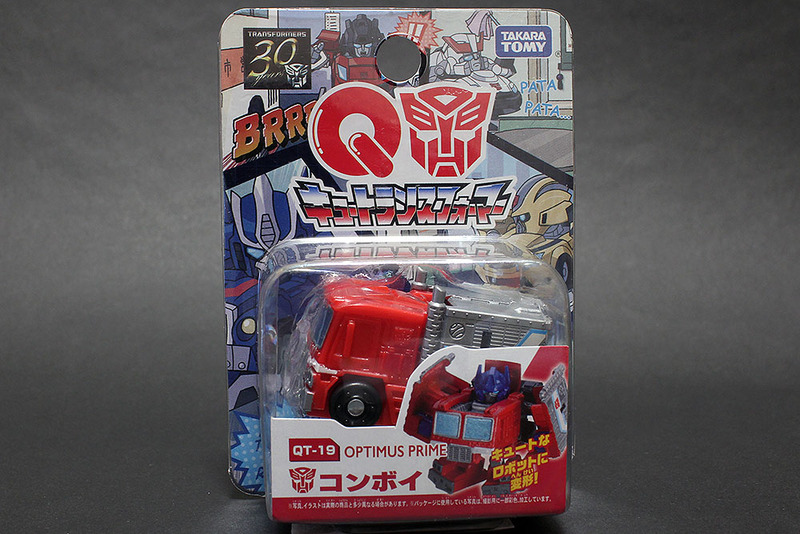 I noticed this series of Transformers 30th Anniversary crossover toys at a department store in town and seeing how cute they were I decided to pick one up. So I went overboard and bought a Leader Class Optimus Prime along with the previously reviewed Bumblebee. I had an incurable urge to buy a toy since the day I was emancipated. I bought a laptop for school last Sunday which didn’t help. Today, I ended up spending some more money on a Deluxe Class Bumblebee and a Leader Class Optimus Prime. Anonymous on a certain board on the internets advised on other characters such as Sideswipe, Depthcharge or Ransack, but I couldn’t find Sideswipe at the department store I went to and ended up digging through the shelves for Bumblebee. I like the Bayformer shredded-metal look on some of the characters so the movie toys appealed more to me than the other Transformers toy lines.